Still looking for a dessert to make for your mother on Mother’s Day? 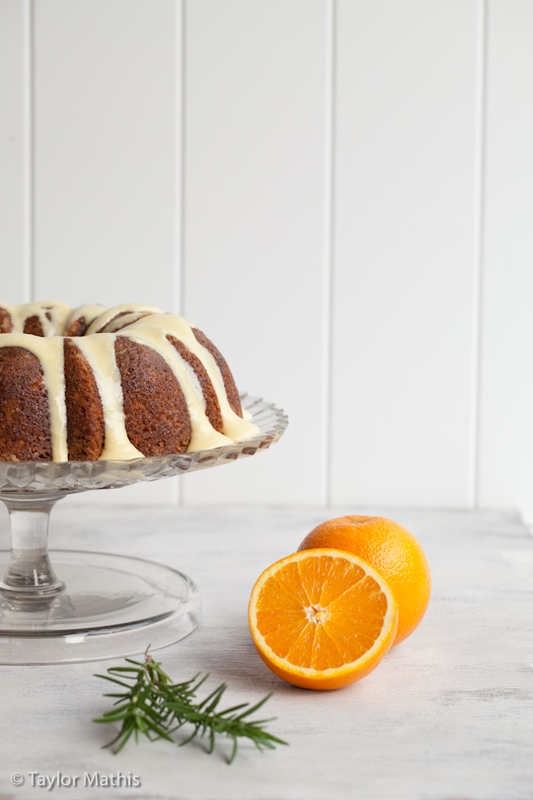 Try this Orange Rosemary Cake. 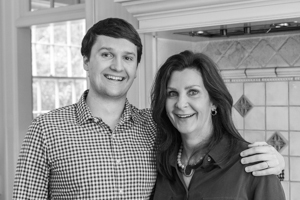 My Mom and I developed it for the Go Bold With Butter Blog. While you should treat your mother like every day is Mother’s Day, the Sunday of Mother’s Day should be an extra special day. It should be a celebration of how great your mom is! Every celebration needs a cake, right? 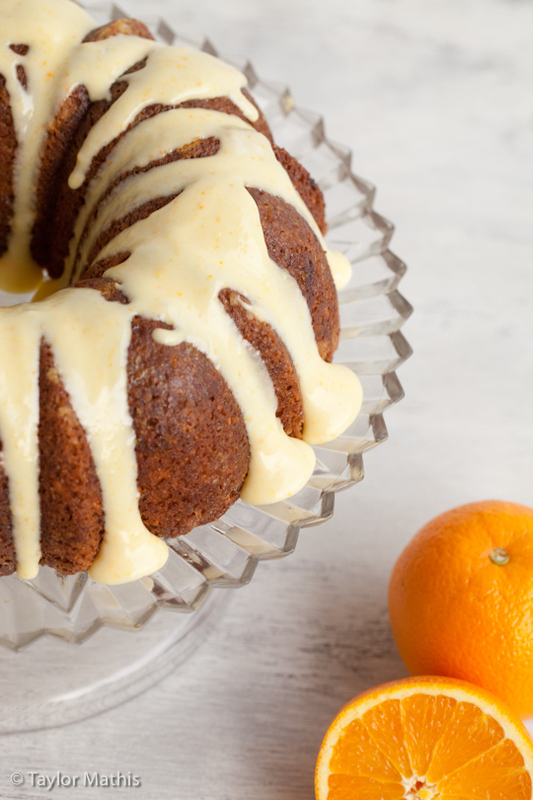 Well, if your mother is a fan of oranges and of cake, then this cake will be the perfect way to end a Mother’s Day meal. The cake can be made the night before, tightly covered, and then iced before serving. When making, be sure to add the glaze while the cake is still warm. Before icing, make sure the cake with the glaze already added has completely cooled. Have a great Mother’s Day! In a mixing bowl, cream together the butter and sugar until light and fluffy. Add eggs one at a time, mixing after each addition. Add the vanilla, orange and lemon zest, rosemary and almonds. Mix together. In a large bowl, sift together the flour, baking powder, baking soda and salt. Pour flour mixture, in halves, into mixing bowl, mixing after each addition. Add sour cream and mix until just incorporated. Be careful not to over mix. Pour cake batter into a buttered and floured 10-inch diameter Bundt® pan. Bake for 40-45 minutes. The cake is done when a toothpick comes out clean. Let cool for 5 minutes and then place on a wire cooling rack. When cake is completely cooled, carefully remove from pan. While cake is cooling, prepare the glaze. In a small pan, add sugar and orange juice. Stir and bring to a boil. Let boil for 1 minute. Remove from heat. Using a toothpick, poke holes about an inch apart across the cakes surface. Brush glaze over the surface of the cake. Tip: put a plate under the cake to catch glaze that drips off. Let cake and glaze cool completely before icing. Combine all ingredients into a food processor. Process until a smooth and creamy icing has formed. Prior to serving, pour over cooled cake. I think I will try this for our next gathering. Love your photos. I have a photo question. I notice you take most of your photos vertical. Is there a specific reason for this, or a personal preference? 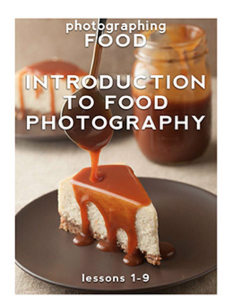 Seems you’ve opted for recipes more than photo tips these days. All the best but my interest was photography so I’m bailing.